Much lower in price than big-name competitors, so you can't go wrong with these wonderful needles. With these fine needles, you'll know that you are working with the best! 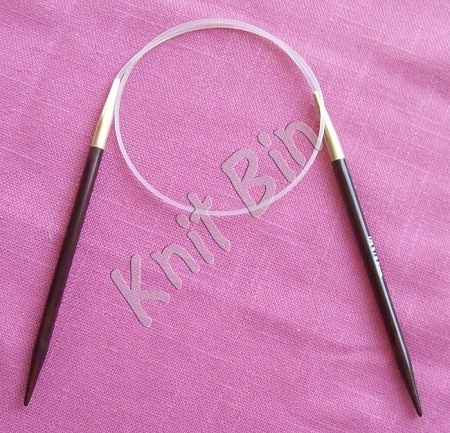 I absolutely LOVE the needles I bought from The Knit Bin. They are of the nicest quality and so easy for the yarn to slide when using them...I.e. The stitches do not stick to the needle. I particularly like doing business with The Knit Bin because of Debbie's prompt handling of the items you order. 'Recommend doing business with this shop above all others! P.s. The same accolades go for the yarn I have purchased from KB, too! These are nice, smoother than many needles, not quite as smooth as wood Harmony needles, but prettier; or Lantern Moon, but the price is lower than Lantern Moon's. I like the slightly softer point, it's easier on my finger than the Harmony sharp point.